MVP Kids is packed with plant-based vitamins, plus plant-powered protein for optimal absorption and all-day energy. Your child’s body is designed to extract vitamins and minerals from food. Those synthetic multi-vitamin and multi-mineral supplements with the cartoon characters (and the artificial colors and flavors) don’t get absorbed and utilized like the numbers might suggest on the label. In fact, there are some studies that say they may do more harm than good. Instructions: Use: Mix 1 Scoop with 8oz of rice mylk, almond mylk, another alternative mylk, or with water. Disclaimer – These statements have not been evaluated by the FDA and were not intended to diagnose, treat, cure or prevent any disease. 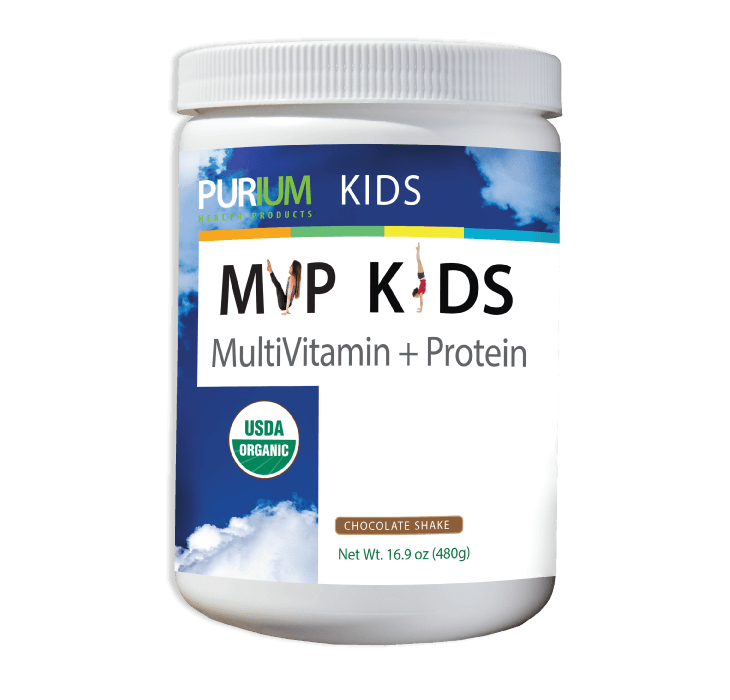 MVP Kids is packed with plant-based vitamins, plus plant-powered protein for optimal absorption and all-day energy.